The Official Raspberry Pi 3 Model B protective cases available in both red/white and black/grey colour combinations. Your favourite Raspberry Pi models and add-ons in bulk quantities, including cases, cameras and touchscreens. Now that you have purchased a Raspberry Pi, here's some basic accessories you need to get up and running. My Raspberry Pi thinks it's a PDP-8! Constructing the PiDP-8 minicomputer front panel for SimH. Al Powered identification with the Pidentifier! Build a Raspberry Pi-based object-identifying appliance with a Pi 3 Model B, Pi camera, Intel Movidius NCS and the DesignSpark Pmod HAT. Utilise any of the broad range of Pmods manufactured by Digilent ensuring your Raspberry Pi development. An article about the fourth Pi Wars, taking place in Cambridge on the 21st-22nd April 2018. Installing and running an Ethereum blockchain client on a Pi 3 Model B. 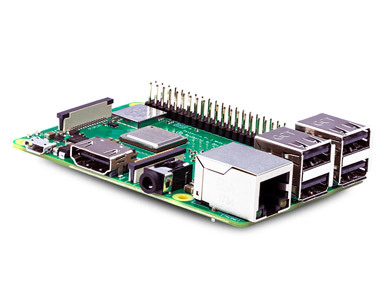 Find everything you need for your Raspberry Pi.